When a building such as a factory, an office or even odd spaces such as a church or a light tower are no longer used they get abandoned. There’s not much you can do with them, given their specific designs. However, ambitious architects and designers manage to revive these spaces and turn them into commercial spaces or cozy homes. 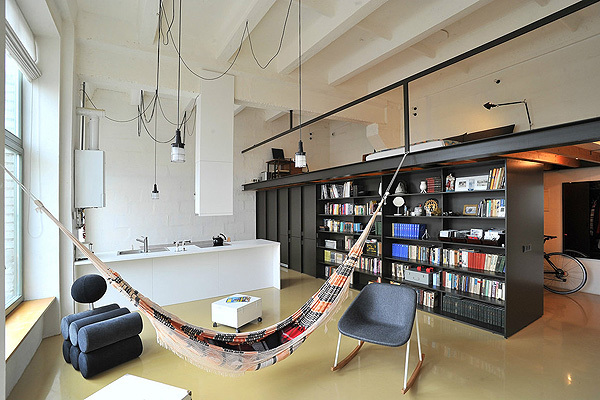 This apartment, for example, is inside a former radio factory.